PDF files can include two kinds of forms: interactive and non-interactive. Interactive form is a PDF form with fields, which can be filled without any additional functions. Non-interactive form is just a file with text and lines to write your data over them. Master PDF Editor allows to fill non-interactive forms with Insert Text tool. Interactive forms can be filled with Hand Tool . You can print filled document and save it. If a document contains interactive PDF forms, then you will see a pop up message «This document contains interactive form fields» when opening it. Message will appear if the application’s setting weren’t changed. To set Pop up message display when opening PDF with forms, open Tools > Settings > Forms tab. Enable/disable a checkbox near Always hide document message bar item. Enable Hand Tool to fill interactive PDF forms. You can enable menu item Forms > Highlight Fields, this will help you notice forms easier, because they will be displayed on color background set in Master PDF Editor Settings. Icon (cursor) will appear when hovering mouse cursor over Text Field. 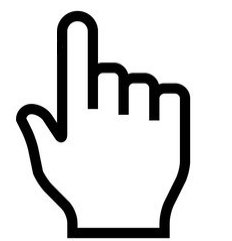 Position a cursor there by left clicking the field. When you’ve finished typing text, press Tab or Shift+Tab to move to the next or previous field. You can also just mouse click a field you want to fill next. To remove data from all document forms use Reset Forms command in Forms menu. Please note, that forms data won’t be restored with “Undo” command. You can edit document with PDF forms just like any other PDF document, if file’s author hasn’t restricted this ability. This function is available only for interactive PDF forms. When using export, forms data are copied into specified FDF format file. When importing data to the document, previously exported and saved in FDF file data containing results of PDF forms filling are added. Unlike comments, only forms data can be imported and exported. But like comments, forms data export help decrease size of transferred data. To export forms data, choose Forms > Export Form Data… item in Main menu. A Save As… window will appear, which allows you to set name and path for data file and save it with Save button. By default data file is named like: (source document name)_form.fdf. To import forms data into the document, choose Forms > Import Form Data… item in Main menu. Use following pop up window to choose file with data and press Open button. Forms content will be identical to file they were exported from. One of the most demanded functions of PDF editors is a possibility to create PDF forms. Master PDF Editor allows to place in documents any interactive forms, which later can be filled, signed with digital signature, printed, saved or sent via email.